Giving them is a show of appreciation for the efforts of others, who have passionately strived for what they believe. I know one of the greatest achievements of my wine career was nominating Jim Concannon of Concannon Vineyard for an award at the California State Fair a few years ago… It was for their annual Agriculturalist of the Year award. I nominated Jim because I know that the famous Cabernet Sauvignon Clones 7, 8, and 11 (that pervasively planted all of wine country in the 1970s – and today, including Napa Valley) are the Concannon Clones 7, 8, and 11. 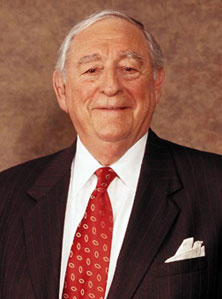 Jim Concannon’s additional efforts to varietally label Petite Sirah for the first time in 1964 with a 1961 vintage is another leadership role. I wanted Jim to get the recognition he deserved, and I worked for many, many hours putting my nomination together for him. It was done so thoroughly that the California State Fair decided to give him a lifetime achievement award, instead. To be there supporting him, in this greatest hour for his achievements, meant a lot to me. When Jim accepted his award, there wasn’t a dry eye in the house. Recently, I got an announcement for the upcoming Wine Enthusiast Awards, and the line up is a who’s who in the wine world. I decided to list the candidates, in order to give each person and/or company one more place on the world wide web, because they’re so deserving. 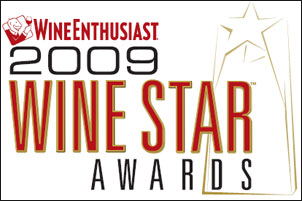 Wine Enthusiast has done a great job of gathering the best and the brightest stars. Enjoy, as these are some of our best leaders. From Wine Enthusiast. “Our 10th year awards ceremony may very well be the most exciting of all, with nominees from all corners of the globe who show that innovation and tradition can indeed be paired. We take special pride also in honoring the leading distributors in the country at this event. These are people whose tireless efforts to spread the word about the value of wine as a part of everyday life have led to increased understanding and appreciation of wine in restaurants and retail shops, which in turn have helped America become a great wine-drinking nation. “Wine Enthusiast Magazine, celebrating the 10th anniversary of its Wine Star Awards, takes great pleasure in announcing the 50 nominees for its wine and spirits awards. The awards recognize excellence on all levels of the industry, from producing premium wines and spirits to marketing and distributing them. Brief descriptions of these nominees will appear in the November issue of the magazine, published on October 5th, while the winners of each category will be announced and presented in-depth in the December 15 issue, published the beginning of November. “This year’s award dinner will also feature a special tribute to the “Pioneers of Distribution,” honoring the companies that helped build awareness and appreciation of wine in America over the past 76 years. Certainly the wine enthusiast awards are going to be a stellar show. The people, regions and distillers listed are best in their league. If they had a similar ceremony for cigars, then my vote would go for Habanos cuban cigars. Thank you for posting this! I hadn’t read about the Wine Enthusiast awards yet. I’m excited to see Champagne won region of the year, as I lived there a couple years back. Cheers! How exciting for you… I’d have a hard time living there, and not bathing in Champagne!